These sisters came up with nutritious snacks for hungry astronauts. As we watched the launch of the space shuttle Endeavour on May 16, 2011, its roar softening as it disappeared from view, we felt overwhelming pride and excitement. A year earlier, we had launched an endeavor of our own: to create a nutrition bar that could be used as a meal supplement for astronauts. Now our STEM-bars, the result of our participation in the Conrad Foundation Spirit of Innovation Awards, were headed to the International Space Station. The competition had tasked us with making a snack that tasted good while meeting strict nutrition specifications set by NASA. Besides the honor of being selected as the best by the Conrad Foundation judges, winners of the competition receive encouragement and guidance from foundation staff and sponsors to turn their creations into real, marketable products. Had it not been for the efforts of foundation chairperson Nancy Conrad—who created the challenge to honor the legacy of her late husband, Apollo astronaut Pete Conrad, our nutrition bars would not have flown in space. Conrad helped persuade Leland Melvin, at the time the director of education outreach for NASA, to offer us an opportunity: to put STEM-bars in the resupply payload on mission STS-134. We grew up in Battle Creek, Michigan, cereal capital of the world and home to the Kellogg food company. We knew the term “food science”; it had been in our vocabulary for years. 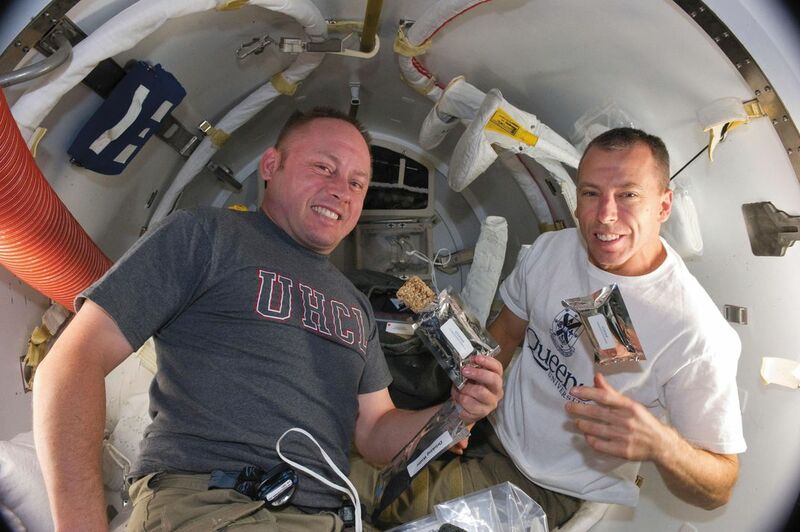 When our STEM magnet school announced the competition to create a nutrition bar for astronauts, we both jumped at the opportunity to learn more about it. Our school introduced us to local food scientists, and they gave us the tools and resources we needed to produce our own nutritious snack, a cranberry-apple-cinnamon bar we called the Star Bar. Our work was good enough to qualify us for the competition finals, and the Conrad Foundation flew our team to the San Francisco Bay Area and gave us the opportunity to work for a week with scientists at an incredible food lab, Matson. Here, we learned how to calculate the bar’s various nutritional components. The lab provided a template; when we filled it in with the specifics of the ingredients we used, it gave us the equivalents in nutritional content. We also worked on perfecting the bar’s taste and texture, and made sure it could be mass-produced. After returning from California armed with a new set of skills and knowledge, we worked on the final phase of the competition: creating a promotional video and a pitch to prospective investors. Working on this expanded our knowledge of the business world and taught us what it meant to be innovators. As we thought about our ideal customer (ourselves), we realized that there was one niche market that makers of nutrition bars hadn’t tapped into yet: the mental energy market. There were nutrition bars for fitness, for dieting, and for fast-paced lifestyles, but there was nothing out there for busy students who wanted something that would improve their mental capacity without being unhealthy. Bingo! We had found our fit. Our bar would be made by nerds, for nerds. 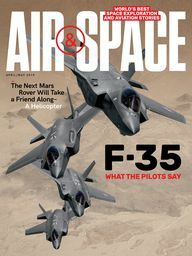 Its ties to NASA, through the competition, would raise its profile. We returned to California in 2010, for the final round at NASA’s Ames Research Center facilities and pitched the product we had been working on for months to a panel of judges. When Nancy Conrad announced us as the winners, we were shocked! Also honored, and inspired. When we got home, we decided to continue developing the product we had created. We founded Solar Flare, a company to sell our nutrition bars, which we now decided to call STEM-bars, to the mainstream market. We reached out to local food scientists for guidance on how to make a nutrition bar to help mental focus. Margie Jusick, who had worked for Kellogg and later became a consultant for a private food lab, agreed to help us. Our idea was to find a way to include in our nutrition bar something called docosahexaenoic acid (DHA)—a long-chain, omega-3 fatty acid that makes up 30 percent of human brain matter. This task was widely considered difficult, as DHA in its raw form is not shelf-stable. It comes from fish (or algae) oil, and the smell and taste overpower most of the food that includes it. But Jusick is wicked smart, and she had a theory for a way to encapsulate the DHA into a nutrition bar like ours. Before long, we turned that theory into a reality. With her expertise, we created patentable intellectual property for our company’s manufacturing process. After the shuttle launch, we began traveling around the country, at the invitation of schools and educational foundations, speaking to students about education in STEM fields and the importance of surrounding yourself with a team that provides a complementary set of skills and motivations. We have since both gone off to college to pursue our degrees. 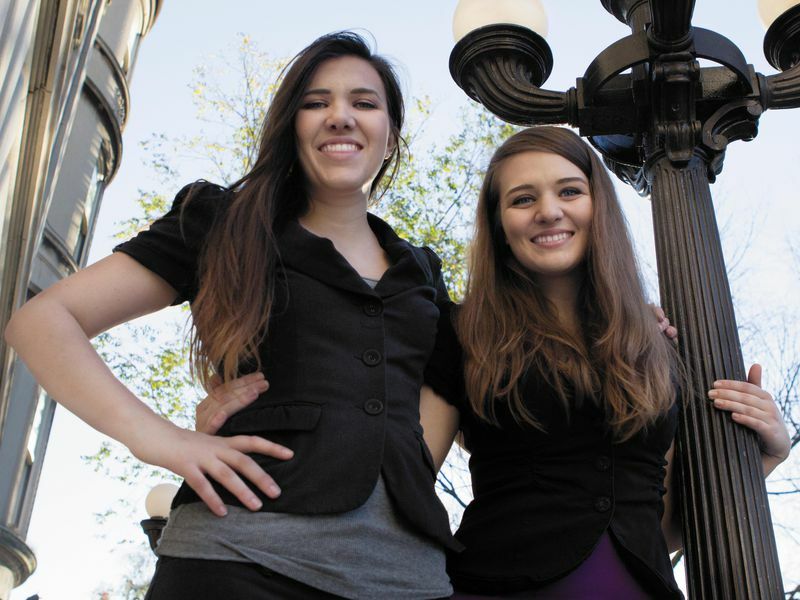 (Mikayla is currently finishing her master’s in electrical and computer engineering at Cornell University, and Shannon is in her sophomore year at Columbia University’s Fu Foundation School of Engineering.) But we are still attempting to advance our company, Solar Flare (between problem sets and midterms). We think we’ll have our product on the market in the next few years.